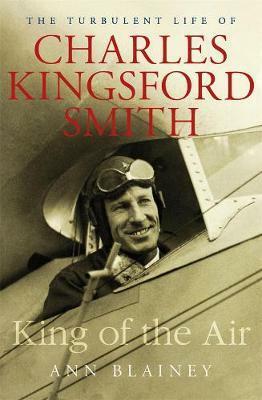 Charles Kingsford Smith was the most commanding flyer of the golden age of aviation. In three short years, he broke records with his astounding and daring voyages – the first trans-Pacific flight from America to Australia, the first flight across the Tasman, the first non-stop crossing of the Australian mainland. He did it all with such courage, modesty and charm that Australia and the world fell in love with him. A ticker-tape parade was held in his honour on New York’s Fifth Avenue. At home, he became a national hero, ‘Our Smithy’. Yet his achievements belied a traumatic past. He had witnessed the horror of World War I - first as a soldier at Gallipoli, later as a combat pilot with the Royal Flying Corps. Erratic, a compulsive philanderer, and almost always broke, he began to embark on increasingly wild and dangerous stunts. The public saw the derring-do; only those close to him knew the anxious, troubled individual who pushed himself to the edge of sanity. In November 1935, Kingsford Smith’s plane crashed and he was lost at sea near Burma, his body never to be recovered. This brilliant work from one of Australia’s foremost biographers reveals the tumultuous life of a fascinating, enigmatic figure, who pursued his obsession to the greatest heights of fame and catastrophe.